When Conor McGregor made his return to the Octagon at UFC 229 to take on Khabib Nurmagomedov it was the biggest pay-per-view in the UFC’s history. Part of the reason the card was so successful was because of McGregor and Nurmagomedov’s heated rivalry. First, it was the Nurmagomedov confronting McGregor’s friend and teammate in Artem Lobov. Then, it was McGregor throwing the dolly at the bus. And, finally, after the fight there was a post-fight melee to top it all off. More recently, McGregor and Nurmagomedov have been going at each other on Twitter, only adding to their rivalry. With that, Lobov would like to see the rematch between the two when they are both no longer suspended. According to recent headlines, Nurmagomedov will likely return in September. McGregor, meanwhile, seemingly ended his retirement last night. With both men seemingly ready to fight soon, and their mutual animosity more intense than ever, it certainly seems possible we’ll see a rematch between them soon. 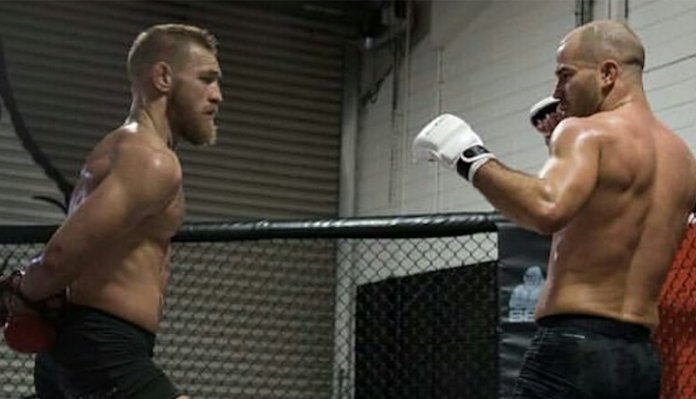 Would you like to see Conor McGregor fight Khabib Nurmagomedov next?